The Producers Guild did the unthinkable and awarded a tie for Best Picture of the Year to 12 Years a Slave and Gravity at its annual awards. With the SAG Awards giving American Hustle its top honors over the weekend, this Oscar race is truly heating up. The Producers Guild has never had a tie for its top prize, so this was historic. But, by awarding two films Best Picture, it truly shows what a difficult choice it is to select simply one film to be “the best” of 2013. 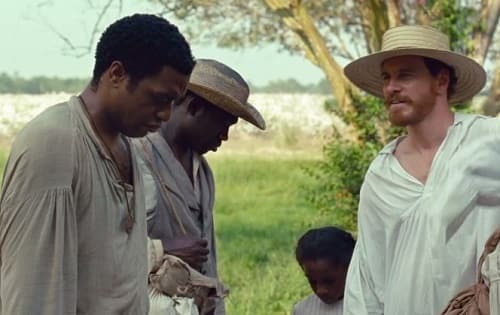 Although the Oscar nominations revealed nine nominees for Best Picture, one could argue that the race was truly coming down to three films: American Hustle, Gravity and 12 Years a Slave. For their other two categories, We Steal Secrets -- the WikiLeaks documentary -- scored Best Documentary and Disney’s Frozen won Best Animated Feature. The latter is clearly the front runner for the same award at the Oscars.